Below we have an interactive guide and map of Gran Alacant for visitors and tourists visiting the development and urbanisation of Gran Alacant on the Southern Costa Blanca coast of Spain. This free Google map of Gran Alacant can be used in many ways: as a streetmap of Gran Alacant, as a map of hotels, apartments, as a way of getting driving directions to Gran Alacant or as a map showing the main tourist attractions and sights in Gran Alacant. Where is Gran Alacant located in Spain? What is the nearest airport to Gran Alacant? How do I get to Gran Alacant? Where can I find driving directions to Gran Alacant? Where can I find a free streetmap of Gran Alacant? Using the buttons on the top left you can ‘zoom’ and ‘pan’ and take an interactive virtual tour of Gran Alacant watching the panoramic images and pictures of the sights and attractions of Gran Alacant. You can also choose the point you want to have in the centre of the map by double clicking. Gran Alacant is a development commonly known in Spain as an urbanisation on the southern Costa Blanca in Spain just to the south of Alicante and to the north of Santa Pola. Gran Alacant is only 15 km south of Alicante and just 4 km away from Alicante airport of El Altet so its position and location is superb. 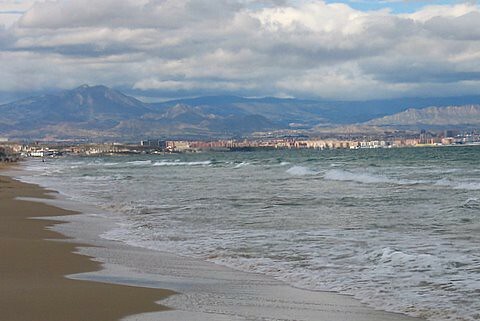 It is set just slightly inland but the beaches are just a short drive away we recommend trips and days out to the nearby Casas del Cap and Los Arenales del Sol. Once at the airport you have a range of different airport transfer options to Gran Alacant including private shuttle buses, taxis or Gran Alacant car hire. Gran Alacant weather is another reason for its popularity as the entire Costa Blanca region enjoys sunshine for in excess of 320 days per year. Perhaps you have found this map because you were searching for Gran Alacant property for sale or Gran Alacant property for rent. You can use the map to locate properties the sale on streets and roads in Gran Alacant. This interactive Google Gran Alacant map and guide is best used as a tourist information guide as it shows some of the best sights, attractions, tourist spots, famous landmarks and places of interest in Gran Alacant. Alternatively you can use the Gran Alacant map as a street map to help you with driving directions and travel information, to and from Gran Alacant. If you have booked car hire for Gran Alacant you can use it from your place of origin such as Alicante airport or San Javier Murcia airport. It will help you get to Gran Alacant and also help you get around Gran Alacant when you are here on your trip or holiday. On the map of Gran Alacant we have placed markers showing the locations of Gran Alacant’s best-known tourist attractions and sights. These markers and pins show the locations of the famous buildings, museums, galleries, parks, beaches, golf courses, major sights of interest, tourist offices, markets, hotels, apartments and restaurants within Gran Alacant. Use the interactive map to show you where your accommodation is situated for your stay in Gran Alacant. 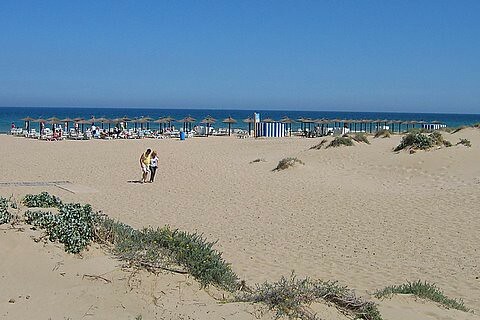 You can find all the hotels, apartments, villas, guesthouses, hostels, pensions and camping sites that are in the Gran Alacant area. You can change the street and road map view to a view of the terrain of Gran Alacant or you can choose a Google Earth satellite view of Gran Alacant which shows you actual images of Gran Alacant from the sky above. Gran Alacant Map Page Summary – Visitors to Gran Alacant can use the map above in conjunction with our tourist information pages to learn and find out what to do, where to go, how to travel and get around, what to see and do in Gran Alacant and the surrounding area.